Last night, using a sewing machine with a higher IQ than my own due to a computer chip, I received a text. A text that rocked my world. And then my phone nearly exploded. The influx of messages did not stop for hours. Steve Jobs was brilliant, he helped revolutionize the world, he brought the future into our future, he helped make science-fiction into science-fact for so many people. His mark on our world will long outlive him. Steve Jobs didn’t invent the computer or the mp3. He didn’t invent the tablet. He didn’t invent the video-phone, either. It was what he did with these tools that makes the difference in our lives today. I grew up on science-fiction. I never thought I’d live in a world envisioned by people well ahead of their times. How blessed I am to live n this day and age! We were outside of the norm. I don’t remember a time without a computer in our home, which was rare in the early 80’s. I remember tape drives and punch cards. I remember my friend getting a Tandy and another getting a Commodore 64. I remember black screens with a blinking cursor. I even remember programming in basic and playing text-based games. Like this post if you remember the pizza delivery game! Schools did not have computers in every classroom, we had stifling hot computer labs filled with Apple computers. Apple truly brought the computer into the school buildings, revolutionizing the way education flowed. Imagine a world without computers in the schools, it’s unthinkable. Oregon Trail on an Apple. Those were the days. Also, me commanding that Mac to print out a whole page of text to freak out the teacher. Instead of playing Oregon Trail. The first time I saw a video phone, I remember yelling across Radio Shack to my dad. 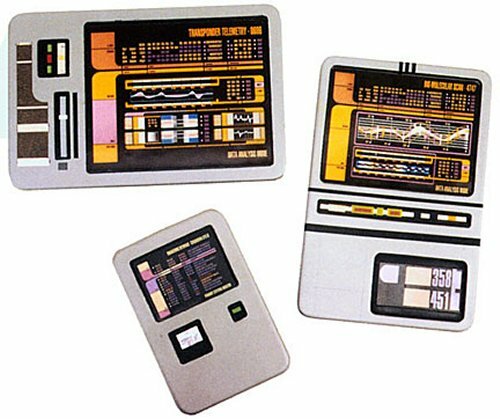 “Dad, they have a Star Trek phone!” He smiled and informed me that these were nothing new, but they just couldn’t seem to catch on. I’ve owned a web cam since 1996, using various software programs to video conference with friends and family across the nation. When we could get it to work well. Skype is great, but FaceTime put this in the palm of your hand. My children enjoyed their morning FaceTime with a friend a few miles away. They are teenagers and he was in Kindergarten when they started using FaceTime with him. I listened to “Yakkity-Yak” on 8-track. I owned more vinyl than I ever owned cassette tapes. I grew up in the age of the mix-tape. Who didn’t own or make a mix-tape for a special friend, love interest, or family member? My grandmother gave me my first Sony walkman. Suddenly, music was personal and portable to me! I could listen to Madonna while my mother listened to the oldies. Portable music was nothing new, and neither were mp3’s. Then Apple gave us the iPod. I could hold 600 of my favourite songs in the palm of my hand. I received my first iPod in the mail just before an 18 hour drive to Mississippi with my parents and sons for a family reunion. And the tablet. Oh the tablet! Star Trek World – TODAY! iPad - The PADD is REAL! You can’t go anywhere without seeing a tablet of some type. I love the innovative ways that people use the tablets! Jukeboxes? Win! Menus? Win! Fashion design? Win! Slideshows? Win! Teleprompter? WIN! Steve Jobs. You left this world, but your mark remains. Thank you for all you did, for all you gave, for all you were.